Editor’s note: This article is a part of a collaboration between the McGill International Review and the Berkeley Political Review. To learn more about them, click here. When the people of the United Kingdom voted to leave to the European Union in the summer of 2016, few recognized the true consequences of their choice. Nowhere would that choice become more consequential than in the six counties of Northern Ireland. The integration of Europe fundamentally changed the political structure of Northern Ireland, the only place in Britain that shares a border with another EU country. Once a region synonymous with sectarian hatred and terrorism, the political changes brought in part due to the rise of a unified Europe helped fundamentally change the ideological landscape of the North. Without things like heavily armed borders, often a symbol of the long-running tensions between Catholic and Protestant neighbors, the political unification made previous demarcations less important, destroying the narrative used by terrorist organizations on both sides to recruit young men and women to do their bidding. The results of Brexit threaten to destroy the shaky political structures of the region. The reason Brexit has fundamentally changed almost every political discussion in Northern Ireland, even more so than other parts of the UK, revolves around the fact that the North shares a land border with the Republic of Ireland, another EU country. Today, the border is nothing more than a line on a map, with the only major difference between them being that speed limit signs are suddenly in miles per hour instead of kilometers on the Northern side. However, this wasn’t always the case. 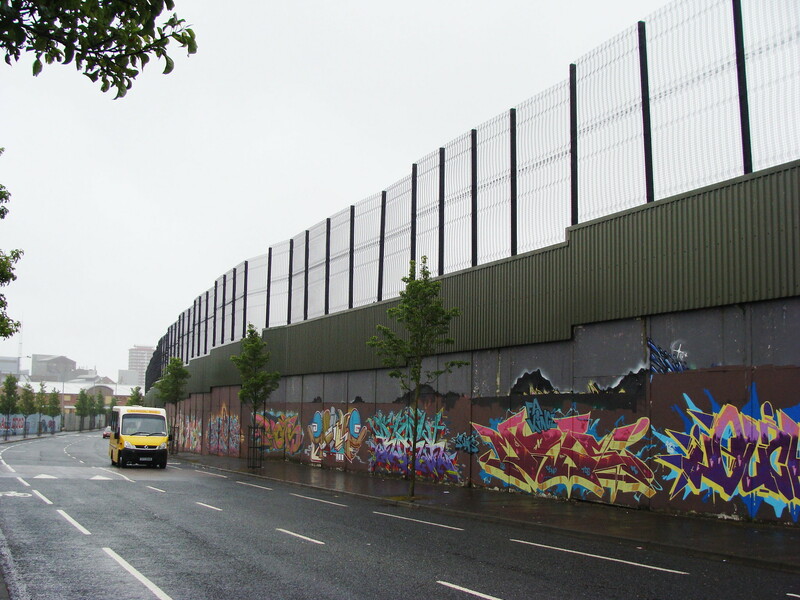 For much of its history, the Irish border was heavily fortified with British army checkpoints to ensure no contraband was taken across, particularly anything that could fund or aid the infamous Irish Republican Army or other republican terrorist organizations determined to continue their fight against British control of the North. While the presence of soldiers on a border may not seem controversial in the abstract, the controversy at hand has its roots in the long history of sectarian tension within the region. Beginning with the British partition of the island in 1921, the territorial status of Northern Ireland has long been a point of contention for nationalists on both sides of the ethnic divide. On one side are the predominantly protestant unionists, represented by a number of Protestant-dominated political parties, including the Democratic Unionist Party, one of the coalition parties currently represented in Prime Minister Theresa May’s ruling Conservative party government. Determined to continue the British administrative control of Northern Ireland, the unionists are ardently opposed to any attempt to reunify the nation of Ireland. On the other side of the political spectrum lie the Republicans, predominantly Irish Catholics. They are mostly represented by Sinn Fein, a political party once synonymous with the Irish Republican Army, a terrorist organization that had terrorized much of Northern Ireland. As continually minority population, many Catholics view the continued British control of the North as an inherently oppressive system of governance, mainly due to a history of discrimination at the hands of the unionist-dominated Northern Irish parliament. This sectarian dynamic is one of the main reasons that the discussion surrounding the Irish border has become so contentious. The advent of the Good Friday Agreement ensured that there would be no “hard border” on the island of Ireland. This was a symbolic move due to the fact that the presence of British soldiers on the border, or anywhere in Northern Ireland for that matter, had become a deep insult to many Irish Catholics, who viewed the intervention in Northern Irish affairs as a symbol of continued oppression at the hands of Westminster-based politics. Allowing people and goods to cross the border without any type of administrative checks allowed many Catholics to compromise with the continued division of the island. Although they may have wanted unification, an end to the literal division of Ireland took away much of the significance of partition. With the rise of Brexit, all of this has the potential to give way. Brexit has also fundamentally changed the electoral landscape of Northern Irish politics. Not convinced by the arguments of their conservative counterparts, the majority of Northern Irish citizens voted to remain within the EU. However, because Ireland is part of the larger United Kingdom, the votes of the people appear to have been ignored, with the British government refusing to acknowledge any electoral differences between the North and the rest of the UK. It was perhaps this perceived slight that led to the somewhat historic 2017 assembly election results. For the first time in the history of Northern Ireland, the Unionist block did not retain its overall majority, a monumental event in a region once synonymous with Protestant control. Furthermore, Sinn Fein, the largest and most radical Republican party, came within one seat of their DUP counterparts. This was an almost unprecedented victory for a party that has struggled to galvanize public opinion in the past. However, the 2017 elections results were not an all-out loss for the Democratic Unionist Party. Not having won an outright majority in the House of Commons, Theresa May, the current Prime Minister of the UK, used the once-insignificant party to bolster her electoral majority. By bringing the party into her government coalition, she has given one of the few parties in Northern Ireland who ardently supported Brexit during the referendum a massive amount of power. Knowing that May cannot continue to form a governing coalition without their participation, the DUP has toed a hard line on the issue of the Irish border, perhaps to the detriment of their own constituents. Recognizing the potential instability a no-deal Brexit could unleash on the North, May’s government crafted a kind of exemption for the region. Instead of simply leaving the Union with the rest of the UK, Northern Ireland would be given temporary special status allowing it to stay within the customs union. Although the six counties would remain part of the UK, they would be allowed to continue the free trade and movement of people until a more permanent solution is established. A seemingly perfect compromise to the potential disaster that a no deal Brexit would be, the backstop appeared to be the solution to one of the most monumental roadblocks in the ongoing Brexit negotiations. Not everyone was satisfied with this arrangement though. In Northern Ireland, the DUP demanded an end to what they saw as a threat to the territorial integrity of the United Kingdom. When asked what she thought of the deal, Arlene Foster, leader of the DUP said, “the current backstop … is toxic to those of us living in Northern Ireland”, a clear rebuke of the Prime Minister’s position on the deal. Along with their more conservative colleagues in the PM’s party, the DUP voted against May’s deal, a vote that would go down as the worst result for a sitting Prime Minister in the House of Commons in decades. Losing by a whopping 230 votes, the deal was rejected by both conservative and liberal portions of the house. With the Prime Minister so badly defeated and the EU declaring an end to negotiations, it remains unclear what will happen on the border. 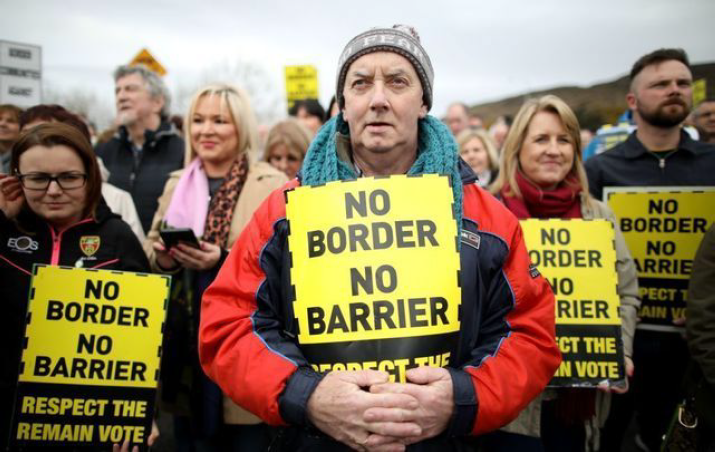 What is clear is that the potential of a return to a hard border on the island has stoked Catholic calls for the reunification of Ireland, something that would have seemed relatively impossible even five years ago. Sinn Féin, the largest nationalist party in Northern Ireland, used the possibility of a no deal Brexit as a catalyst for their Republican ambitions. When asked what her parties reaction to a no deal Brexit would be, Mary Lou McDonald, current leader of Sinn Féin said, “I very much hope that it doesn’t but if, by accident or design, there is a crash or a no-deal Brexit, Mrs. May and whoever is in No 10 needs to understand that in those circumstances the constitutional question would have to be put to the people of Ireland.”. While Sinn Féin remains committed to parliamentary Republicanism, Northern Ireland is a region in which the views of the radical wings of each respective political ideology remain but inches below the surface. Although a return to the levels of violence during The Troubles seems unlikely, many of the paramilitary forces that once ruled the streets of cities like Derry and Belfast continue to draw in recruits. On January 19th, a dissident Republican terrorist group known as the New IRA placed a car bomb outside a courthouse in central Derry, one of the largest cities in Northern Ireland. Although these violent acts are now few and far between, the return of bombs on the scarred streets of Northern Ireland sends a chilling message down the spines of many who live in the region. While the spirit of the Good Friday Agreement may live on in the hearts of the majority of Northern Irish citizens, both Catholic and Protestant, the political instability brought forth by Brexit begs the question: will the North return to the bloodshed and violence of its troubled past? Eoin O’Farrell is a writer at the Berkeley Political Review, a non-partisan student journal at the University of California, Berkeley.